Hi everyone. As you know I have been entering the MoYou London Challenge for 10 days now - wowza! I have full intentions to continue with this, but I thought just to mark my third of the way through point and to give my stamping plates a rest, I decided to do some 24 Nail Art. 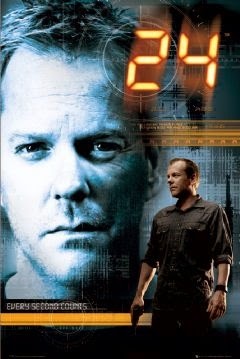 As some of you may know, I absolutely love 24, the adventures of Jack Bauer and everything else in between. I was thrilled at the start of this year when it was revealed there would be a new series and this started last week. I started off by painting my index and pinkie fingers with Kabaret and my middle and ring fingers with New York Noir. Once that was dry I added a coat of Black Crackle on top of the fingers painted with Kabaret. 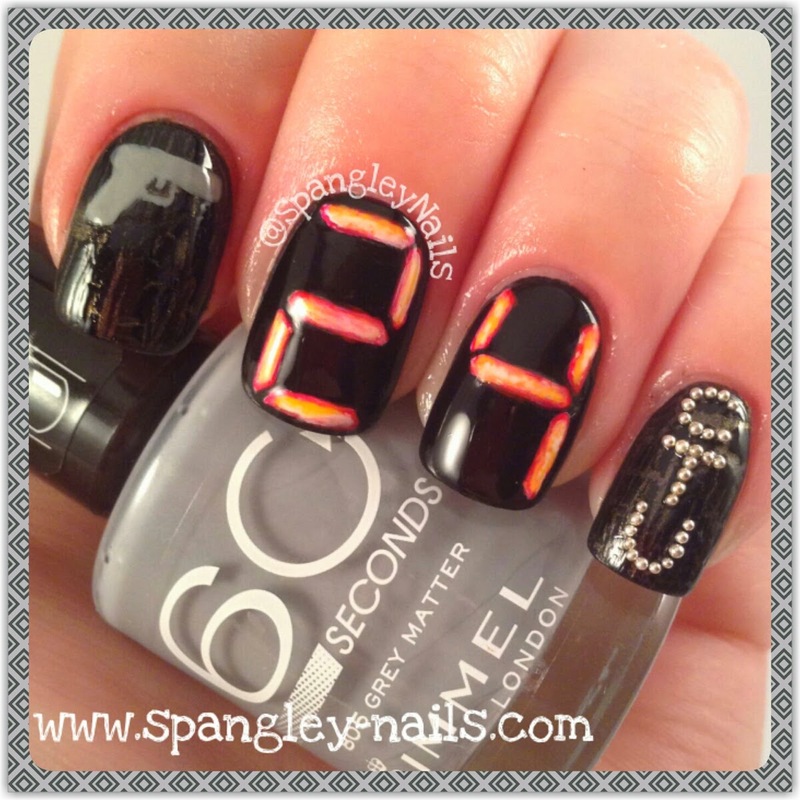 Next, using White On White and my 24 poster (pictured below) as inspiration, I added the sections on my middle and ring finger to make the 2 and the 4 as a base on the black - this is so that the colours pop. To finish those fingers off, I added the Big Apple Red, more White On White and Carnaby Street. Finally, I added the letters CTU with caviar onto my pinkie finger and a grey gun that Jack uses on my index finger to complete the look. Its all topped off with a coat of Seche Vite. 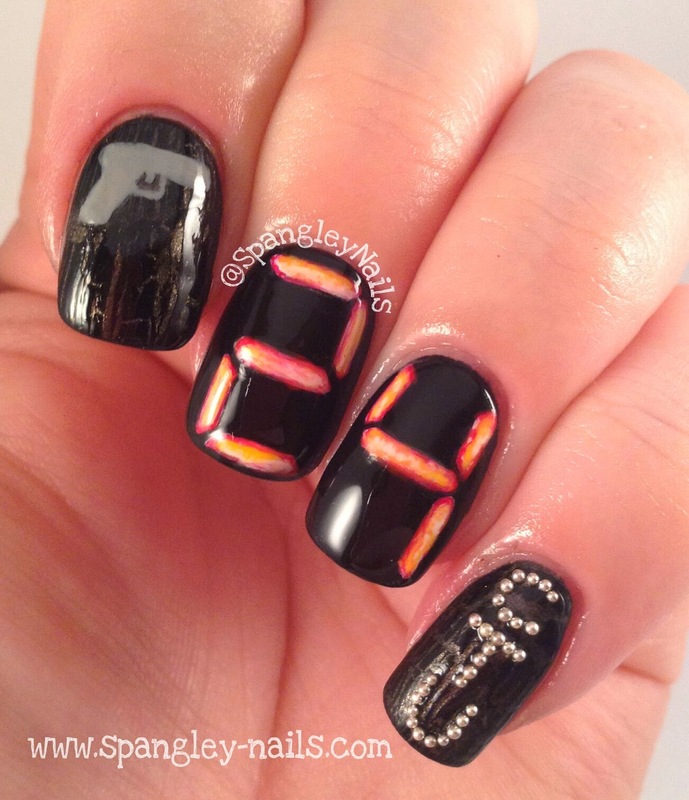 I love 24 with every being in my body therefore I hope 24/Fox feel the same about these nails haha! These are for you, Bauer! 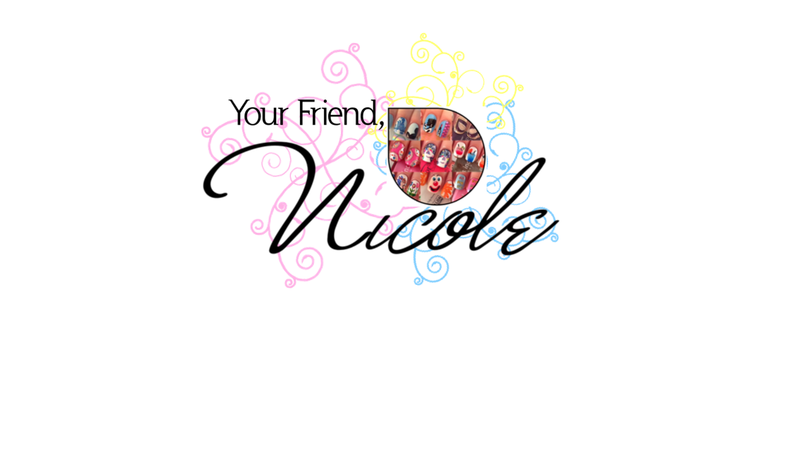 Please subscribe to my site by clicking the link below if you want nail art & fun, what a great combination!